We pride our office in providing great eye examinations and it is a rare day that we don’t receive the ultimate compliment of a referral from one of our existing patients. Even though we are very thorough we also value your time and do not double-book appointments. This means you should have very little waiting time before your examination begins. Our doctors choose the best product for each individual patient and work with all the major manufacturers. This flexibility allows them to tailor the lenses to best match the patient’s needs and wants. We can frequently fit patients who have experienced difficulties with contacts in the past. Good options exist for many patients who have dry eye, astigmatism, or even those that need bifocals. We have patients successfully wearing contacts that range from infants to seniors. We were the first office in southeast Missouri to offer this capability. We updated to the newest generation of this technology in the summer of 2013. 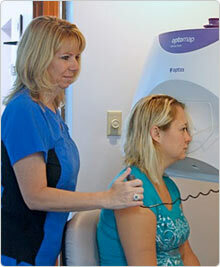 Read more about how the Optomap can be beneficial to your examination. This technology creates a map of the front surface of the cornea which enables our doctors to better fit contact lenses and monitor diseases such as keratoconus. These maps can be useful on all contact lens patients but are critical on especially complex prescriptions. Extraordinary eye care doesn’t result in incredible eyewear without the assistance of our well-trained opticians. 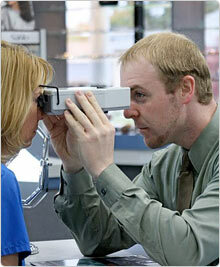 We use superior materials to ensure that you see as well as you look with your eyeglasses.